Drymen Show would like to thank all our sponsors for their support across the years. If you have sponsored before, or would like to for the first time, there are various ways to do so through sponsorship of a class, banners, advertising your business in our programme or simply through Friends of Drymen Show. For your sponsorship, we offer you free entry into the show, complimentary programme and exclusive entry into our hospitality marquee. Morning coffee is available with excellent home baking provided by our very own along with a buffet lunch and light refreshments. Glengoyne distillery are also on hand providing a wee dram if you wish of their 10yr, 15yr or 18yr single malt. There will also be references to your business throughout the day by our experienced comperes. If you are interested please download the attached form for more details on what sponsorship options are available and details on who to send the form to and payment options. ​Glengoyne Distillery was established in 1883. Set at the foot of Dumgoyne, the distillery has been producing the finest whiskey since 1883. "Six guiding principles rooted in nearly 200 years of our craft. An unwavering commitment to the environment. And a gathering of like-minded people. 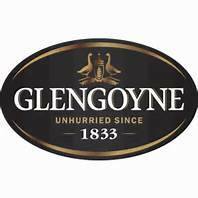 This is the Glengoyne Way." Helping businesses establish an effective online presence. Affordable websites designed to suit the needs of your business. No hidden costs and no surprises.